What we have here is a serious deep ,dark,tech E.P without loosing its soulful side of things. This producer has been quietly sneaking up on us releasing some dope deep soulful tech joints and reminds me of brother Brian Nance..Don;t sleep on these producers as they are bringing a different flavor to a dancefloor near you ! 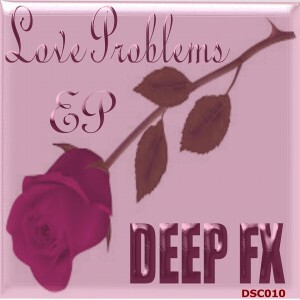 This package features a favorite of mine entitled Love Problems ,a deep soulful ride into oblivion with spacey keys,deep bass-line and dub vocals scattered throughout the song makes this one a top tune.Next up we have another hot joint in So Unique, another deep ride with lovely dark keys and dirty grimy bass-line that will shake your speakers to it's foundation. (this too is a favorite off this package). Dope.. and last but never least is the pumpin thumpin dancers delight cut entitled Your Lovin , a genuine throw-yo-hands in the air and wave em like ya just don't give a dammm !. This my friends ... will move your dance floor. These cuts are all strobe-light worthy as your dance floor will light up like a X-mas tree..